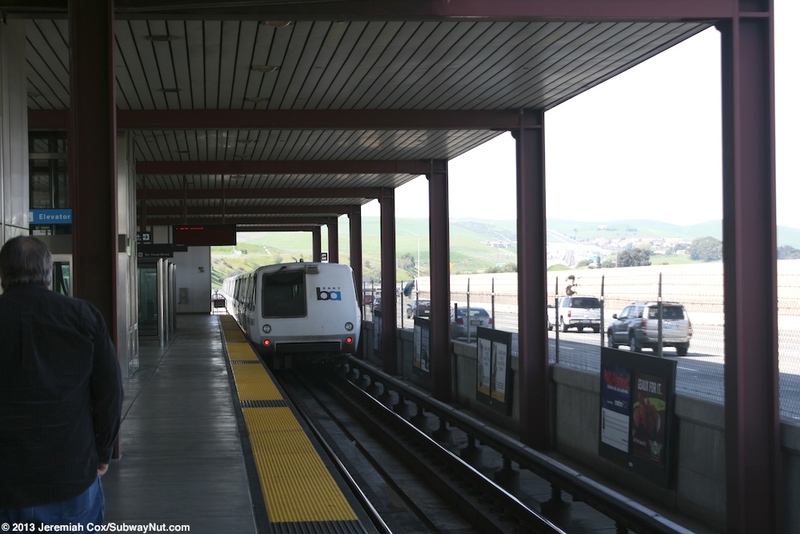 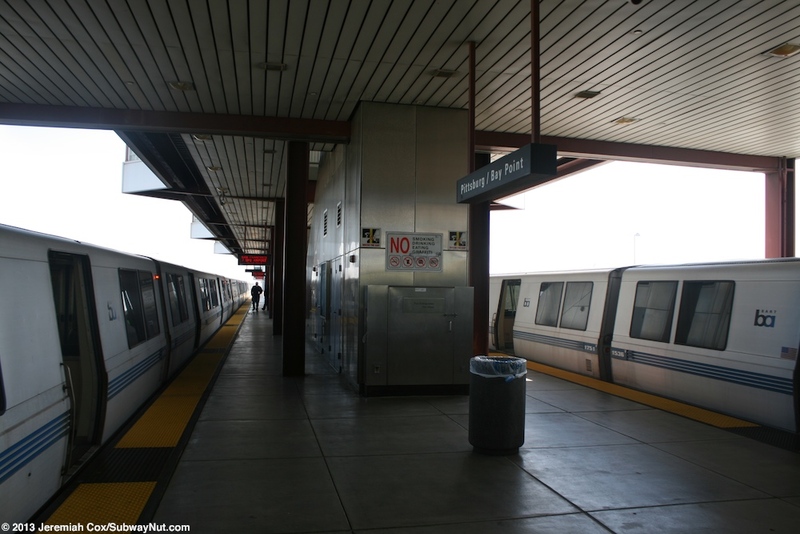 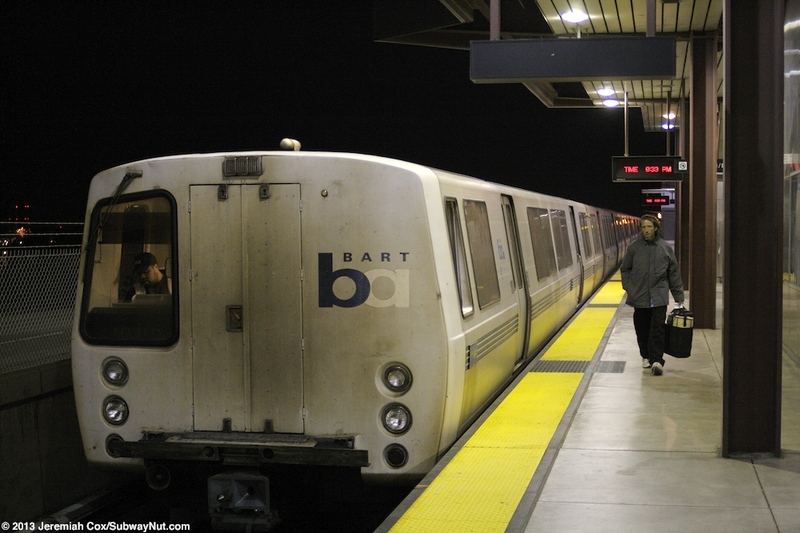 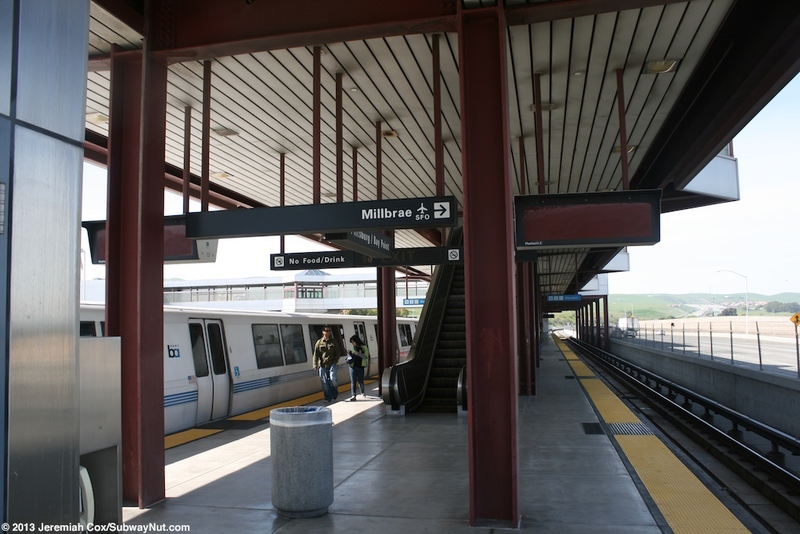 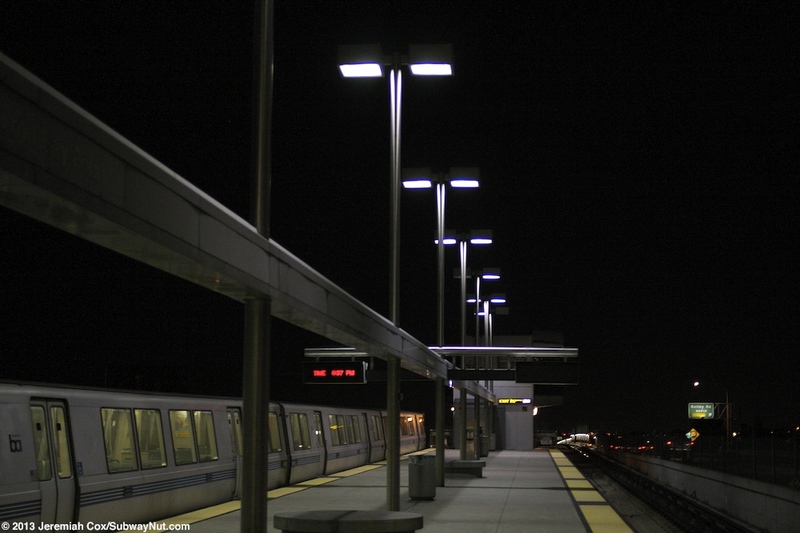 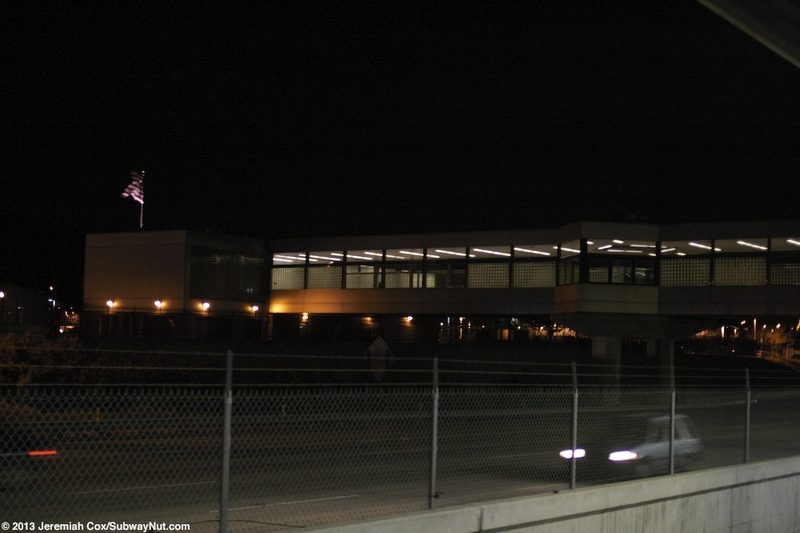 Pittsburg/Bay Point is the northern terminus of the BART Line to and from SFO Airport (extended to Millbrae after 8:00pm on weekdays and all day weekends). 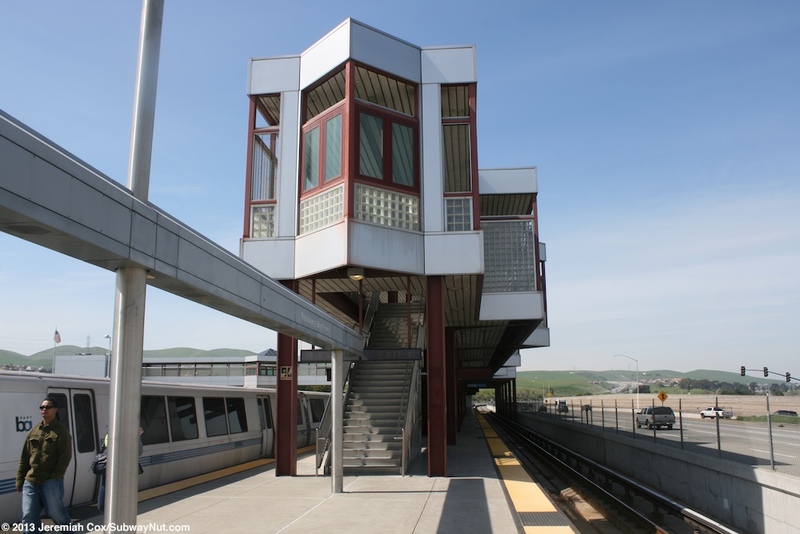 The extension from Concord to this station opened on December 7, 1996. 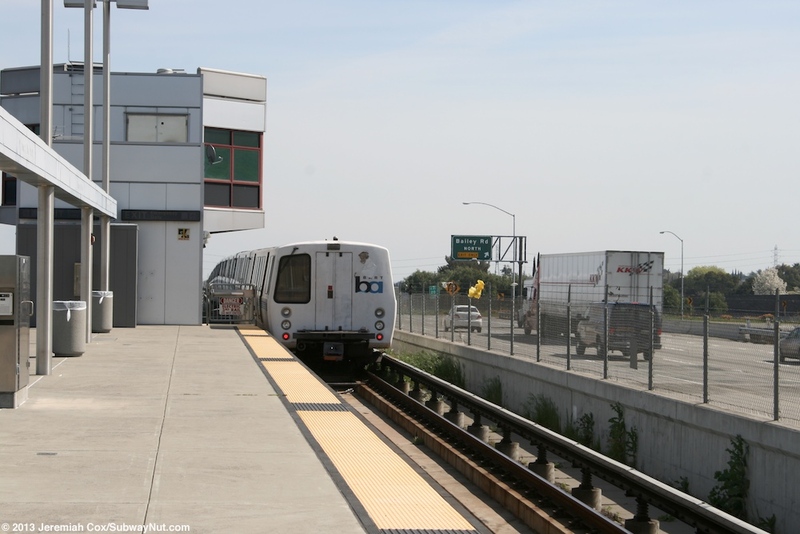 The station and terminus of the line is located in the median of the California Delta Highway CA-4 (a freeway) and has a single island platform. 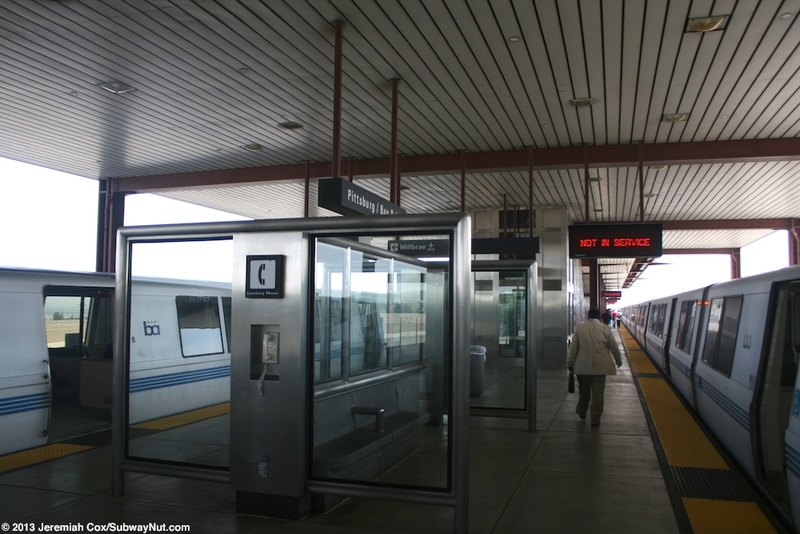 Terminating trains normally enter on Platform 1, discharge their passengers before proceeding to relay beyond the station using a diamond crossover that continues farther with a third tail track added allowing a few trains to be stored beyond the station. 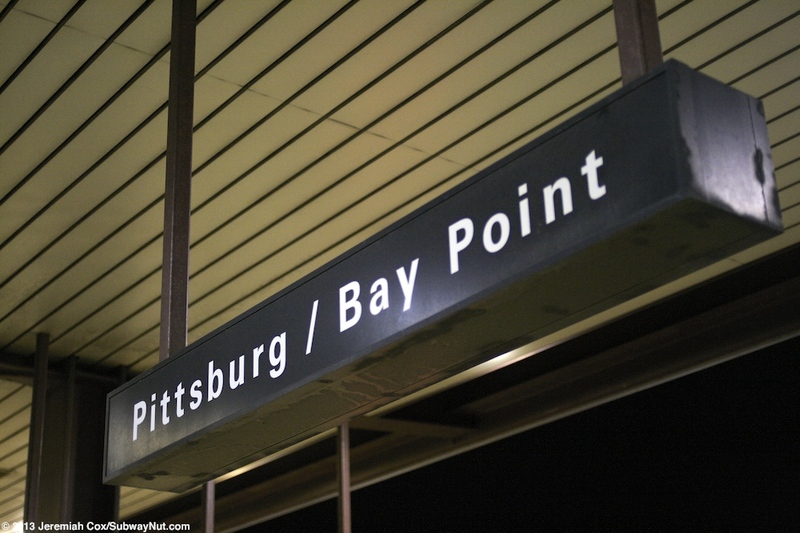 The island platform is located inside Bay Point just west of Bailey Road although the station entrance and parking lot are it Pittsburgh. 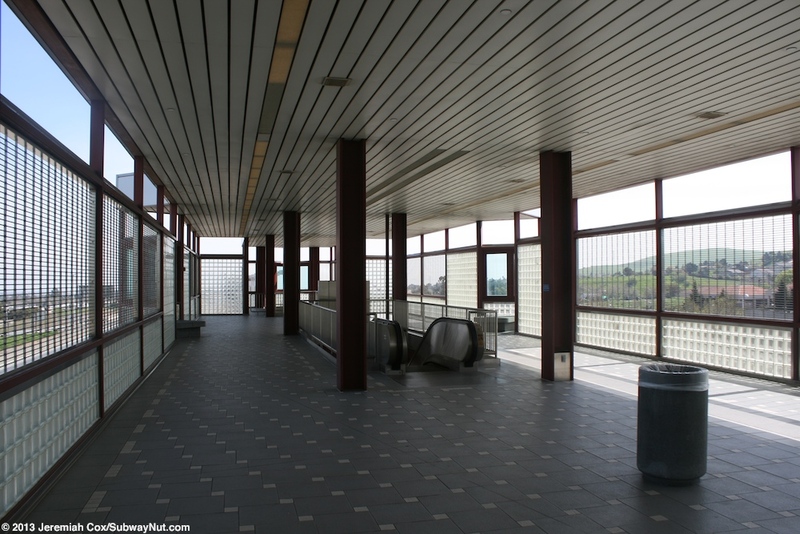 The eastern half of the island platform is covered by the stations partially enclosed mezzanine while the western half is exposed to the elements. 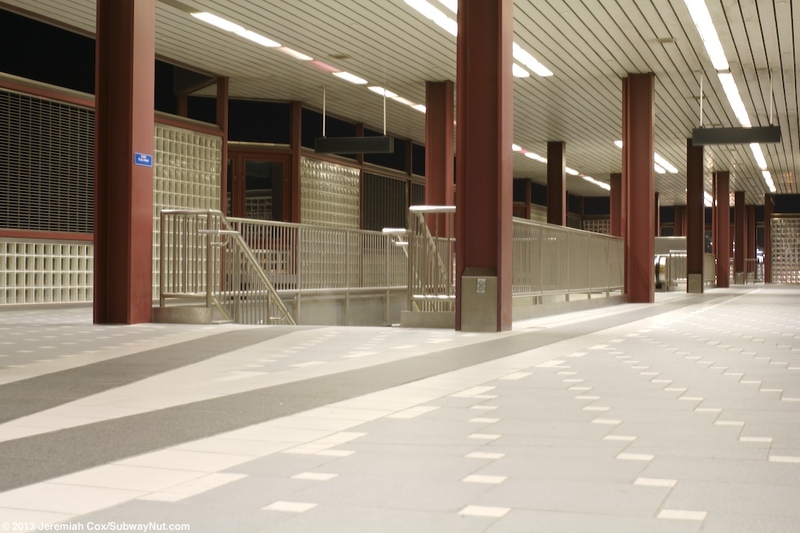 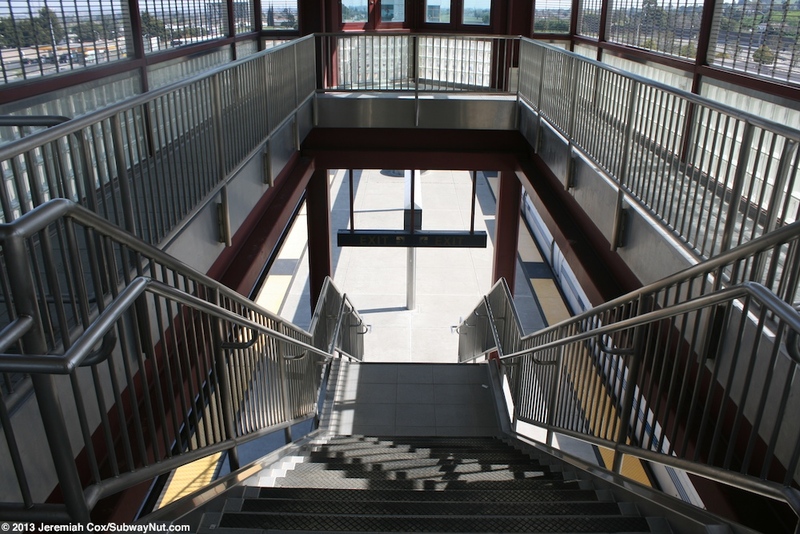 Maroon colored I-beams hold up the mezzanine above the platform. 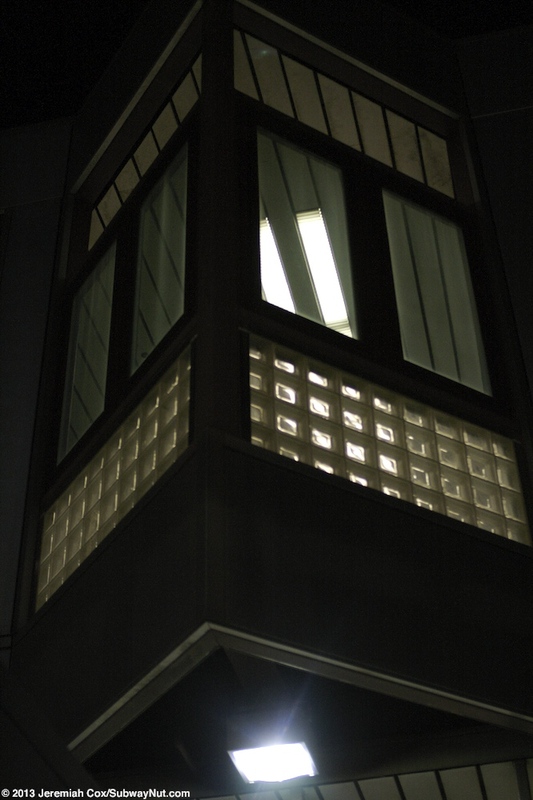 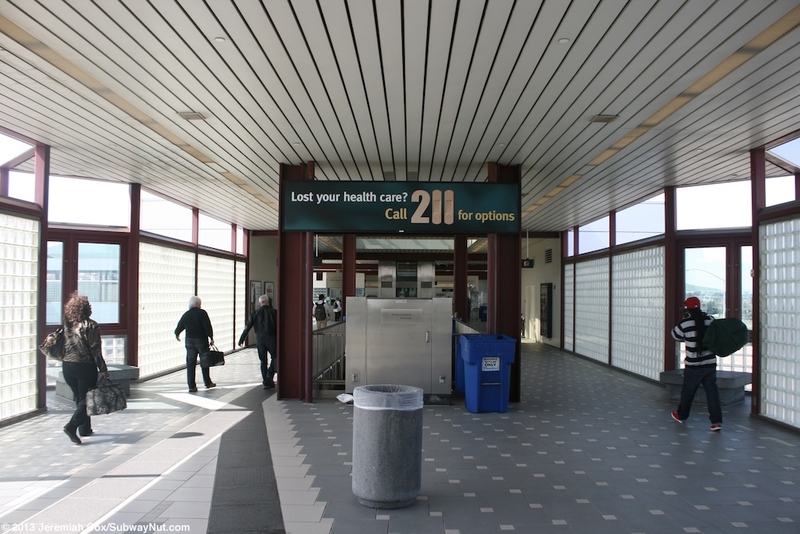 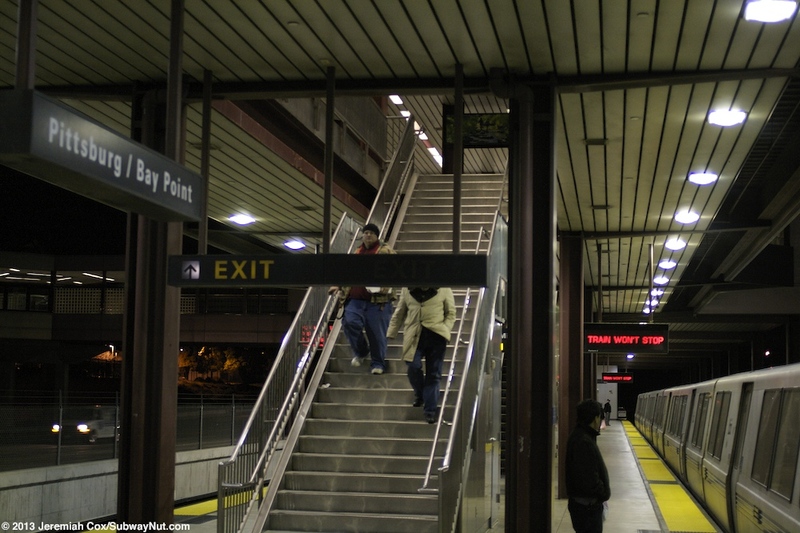 The one station exit is located on this mezzanine above the SF-bound end of the platform. 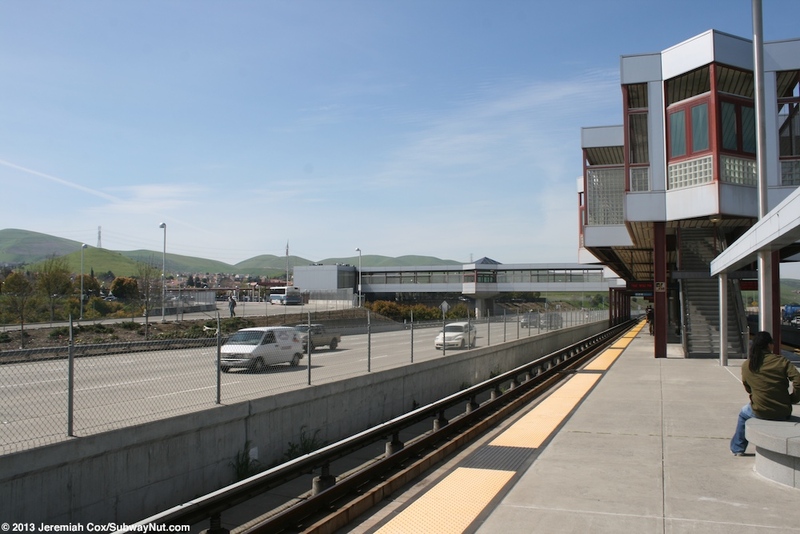 From here passengers curve south and go over a covered overpass across the southern east lanes of CA-4 before exiting at the station's covered bus loop with bays on either side. 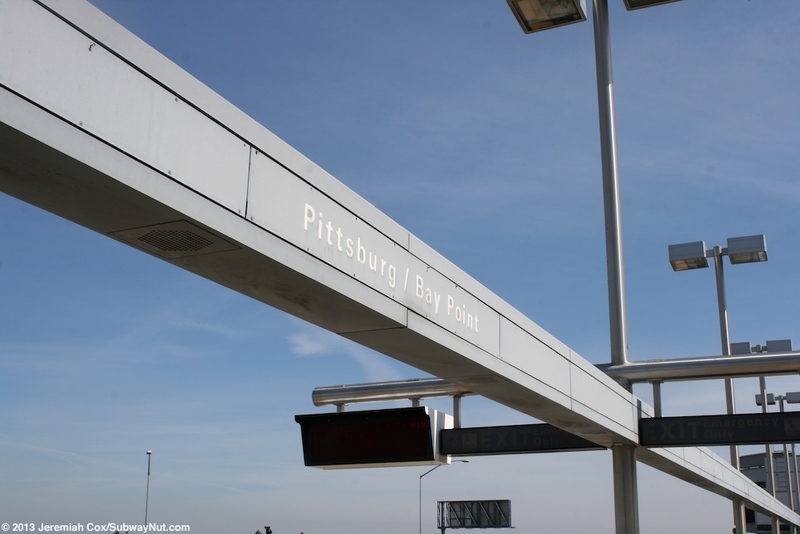 The stations $1 Fee parking lots with 1,992 parking spaces are on the west and south sides of the bus loop and extend south to Leland Road. 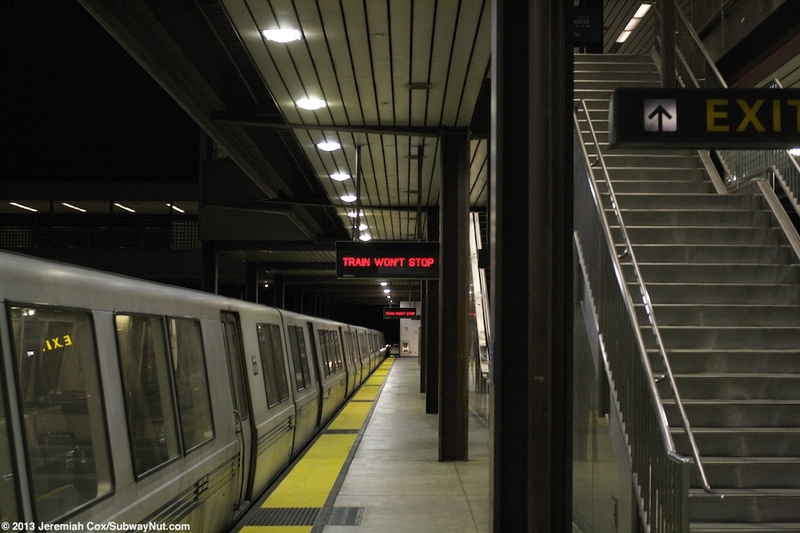 Two C-Cars are seperated in the middle of the station so the final evening trips can be served by much shorter trains. 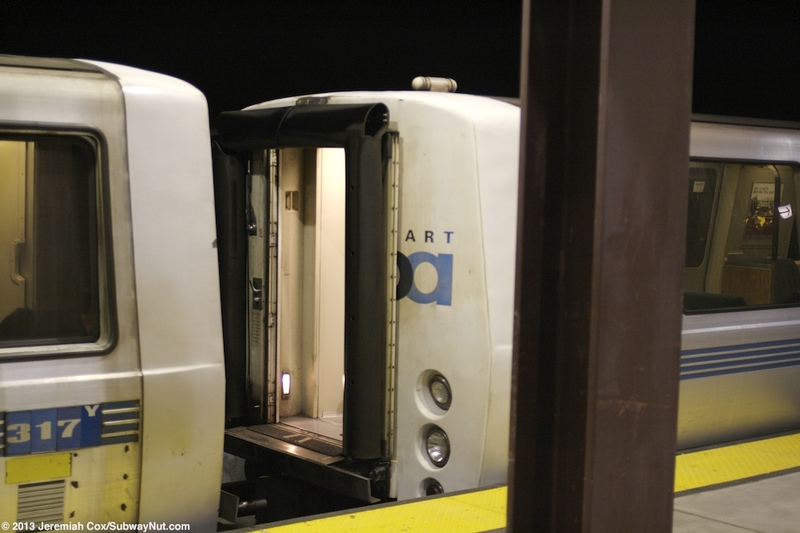 An operator will close some doors pushing the diaprahms into the cars.